The New York City Department of Parks & Recreation and The Urban Park Rangers offer a variety of programs throughout the year for residents to observe birds of prey, including the “The Bald Eagle Watch.” The programs are designed to show New Yorkers the best viewing site each season. 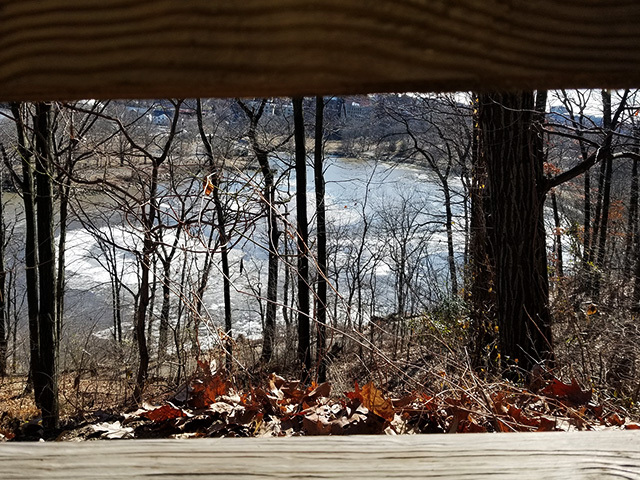 Inwood Hill Park is one of the best spots for appreciating eagles, according to the Parks department. Bald eagles (Haliaeetus leucocephalus) can also be frequently seen flying over the Hudson River. The Urban Park Rangers do educational programs in the parks and have been re-introducing the bald eagle, specifically in Inwood Hill Park, since 2001. Similar programs are offered in the other boroughs throughout the year. According to NYC Parks, the bald eagle used to be more common in the area in previous centuries, especially near the Hudson River’s estuary. Hunting, DDT, egg collection and the disappearance of nest sites decimated their numbers. The pesticide DDT, for instance, was thinning the eggshells hatched by the eagles and as a result the young didn’t survive. By 1976 they were only two eagles left in New York City. In 1989 the Department of Environmental Conservation created a restoration program to bring the eagles back to New York City. Rangers inserted eggs from other non-native eagles in the nest of the two native eagles that were left in the city. The two native eagles became foster parents to many eaglets. The process was monitored very carefully so the new parents could retain the eggs for the entire incubation period which lasts approximately 35 days. Now, the Parks Department says it has significantly cleared up slopes in the parks and restored forests which will help to reestablish eagles in the area. Trees are pruned for the young birds and Fairway Market provides more than 16 pounds of fish a day for the eagles. 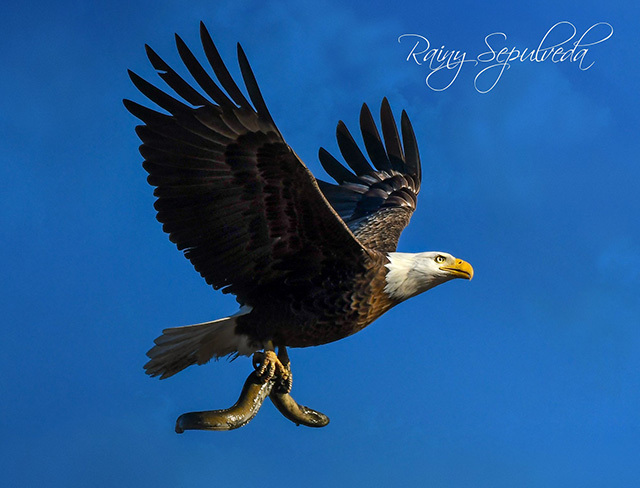 Eagles primarily eat fish, but they may also eat ducks, and other birds. Bald eagles are also scavengers, known as carrion feeders, that eat decaying dead animals. Bald eagles build nests and lay eggs usually by mid-April. Both parents share the task of incubating the egg. Young eagles prepare to fly by early July and stay close to the nest during the summer, as long as they are able to find food. Bald eagles can be seen in New York City and in Long Island. Rainy Sepulveda a wildlife photographer has shot some stunning images which she shares on her Twitter account @IAMASONFLOWER. The birding programs may appeal to experienced birders, but beginners are also encouraged. The Parks Department suggests bringing binoculars, or you may be able to borrow some from the rangers. Added by Christine Mckenna on March 9, 2019.